5 Reasons Why You Should Move to Palm Springs! Many people not only enjoy winter, but wait eagerly for the start of the season. We, however, live in the desert, because we thoroughly enjoy the pleasant year-round temperatures and mild climate. If you’re like us, then you will enjoy reading today’s post about some of the things you can escape from when you spend your winters in the desert. Contact Darlene Harwick in Palm Springs today and let us help you find your dream desert home. Icy sidewalks are one of the primary causes for personal injury during winter. Sure, you can spend the money to have radiant heat placed into your own sidewalk, but how does that help you when you want to walk beyond your property? If you are tired of wondering whether your next step might just shoot out from under you, or you can’t fathom sprinkling another round of salt across your driveway, then you should consider moving to Palm Springs and adopting the desert lifestyle. Speaking of ice, there are few things in life that are more scary than suddenly realizing that you are driving across black ice. Named for its ability to blend in with the color of the road, black ice is dangerous primarily because you can’t see it until it’s too late. The best thing to do is to take your foot off the accelerator and hold the wheel steady until you are at a spot where you can safely brake. Whether or not you catch the flu during winter, you probably struggle with a stuffed up or runny nose at least several times over the course of this sickness-inducing season. 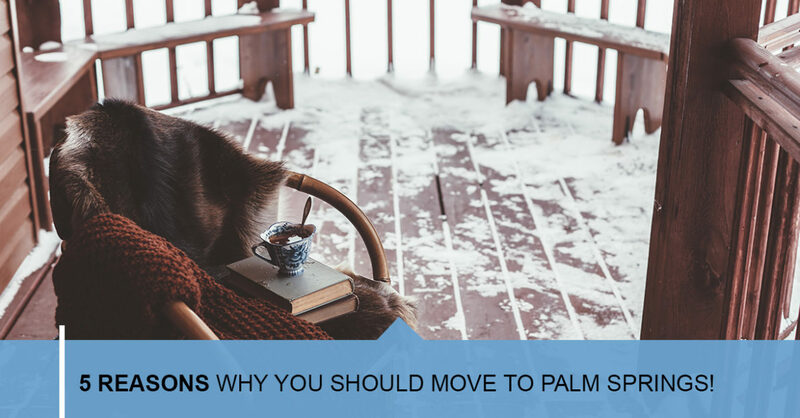 The fluctuations in temperature between your warm home and the cold outdoors, coupled with changing humidity and a variety of other factors, make winter one of the hardest times to remain healthy. Even if you keep your garage organized enough that you are able to park indoors, you don’t have the luxury of that protection when you drive to work, or run errands. It is easy to forget the simple luxury that we enjoy during the summer of simply hopping in our cars and taking off. During the winter, not only will you have to scrape ice and snow off of your vehicle, but you will also have to allow time for the heater to warm up your car and defrost your windows. During winter, there are only so many clothes that you can put on before it becomes uncomfortable. Likewise, short of heating your home to match the temperature of a sub-tropical climate, there aren’t a lot of other options for remaining comfortable. Most people choose to heat their home to a reasonable temperature and then simply wear an extra layer or two. Wouldn’t it be nice to walk around in your shorts even in the middle of winter? You will have that, and many other comfortable luxuries when you move to the desert. Darlene Harwick wants to help you find the perfect desert home for you and your family. Whether you are interested in a vacation home to escape winter, or you are looking for a permanent residence, we can help. Contact our office in Palm Springs today! Contrary to what television shows and movies would have you believe, the desert is not simply a dry and barren wasteland. In fact, there are so many fun and engaging activities that we couldn’t possibly list them all in one blog! 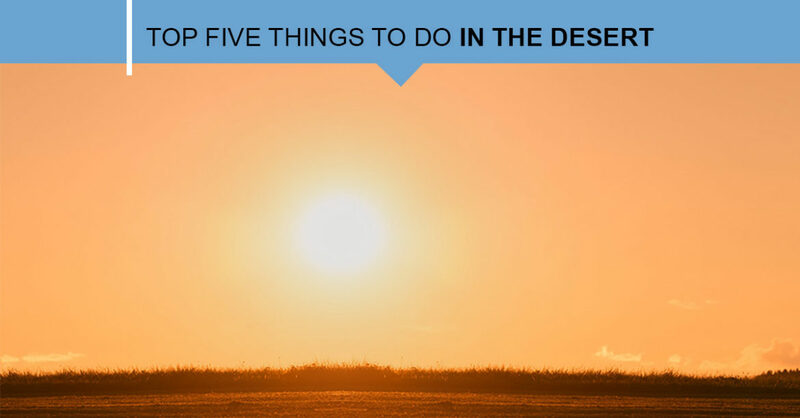 We chose our top five favorite things to do and see when we are in the desert, and we hope you’ll try them out! If you enjoy your time so much that you are wondering how you can make the desert lifestyle your own, then Call Darlene Harwick today and find your desert home retreat. The Palm Springs Art Museum is a must-see in our book. Founded in 1938, it specialized in Native American artifacts, as well as the natural sciences and environment of the area. Today, it still focuses on the unique microcosm of the Coachella Valley where it is located. With rotating exhibits, educational programs, and performing arts productions, the museum has something for everyone. Palm Springs is well-known as a home to some of the great influencers of modern architecture, as well as some of their most famous creations. You will get to visit some of the most legendary Palm Springs homes to view examples of mid-century modern architecture and design. One of the highlights of the tour is, of course, the Albert Frey House II with a boulder that juts into the home’s interior. This is one tour that you will not want to miss! As its name indicates, the Living Desert is part zoo and part botanical garden, set in the desert. You will be able to experience both African desert life and North American desert life as you walk through the park. There are educational presentations throughout the day, opportunities to feed different animals such as giraffes and lorikeets, and over 1,400 species of desert plant life. The Living Desert is a great place for adults and children alike to learn and have fun. Whether you are an avid hiker or someone who enjoys casual strolls, you need to make sure to set aside a day during your visit to experience this absolutely stunning national park! There are a number of day hike options for you to choose from. One of the shortest trail options, Arch Rock, is just three-tenths of a mile. On the other end of the scale in terms of distance, is the Cottonwood Springs nature trail at two and a half miles. You will enjoy open views of a diverse landscape as you walk this trail. No matter which day hike you choose to take, you are sure to enjoy your time in Joshua Tree National Park. Home to the Agua Caliente Band of Cahuilla Indians, Tahquitz Canyon is a beautiful and culturally sensitive area in their reservation. A small admission fee will allow you to enter the reservation and walk the two-mile loop to the stunning 50-foot waterfall in this canyon in the middle of the desert! The fee goes toward maintaining a pristine walking trail, as well as protecting the falls from the graffiti that has marred so many other waterfalls in the L.A. area. We hope that our list has inspired you to visit the desert and see all of the fun things there are to do. If you fall in love with this area as much as we have, then call Darlene Harwick in Palm Springs to learn how you can find your desert home.